International guarantee with dealer name and purchase date, pictogram card. Please note, there is some loss of the fake leather in the document card holder. The watch has been worn in a rotation and shows minor signs of use. There are a few superficial scratches on the bracelet and case. Small ding to the top right lug as well as the bezel at 9 o’clock. There are some desk diving swirls and scuffs to the bracelet. Nothing has been polished. The caseback is in excellent condition and has not been opened. I have not had the watch serviced since I wore it so rarely but it is winding and running well. 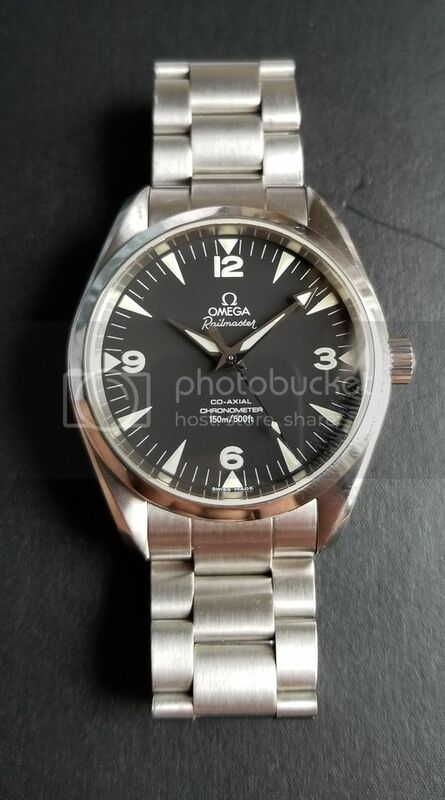 For this watch, I am asking $2900 which will include shipping in the USA. International transactions are fine and will ship at cost to buyer. Transferwise is the preferred payment method for international deals if using a currency other than USD. Returns accepted only if the watch is misrepresented. 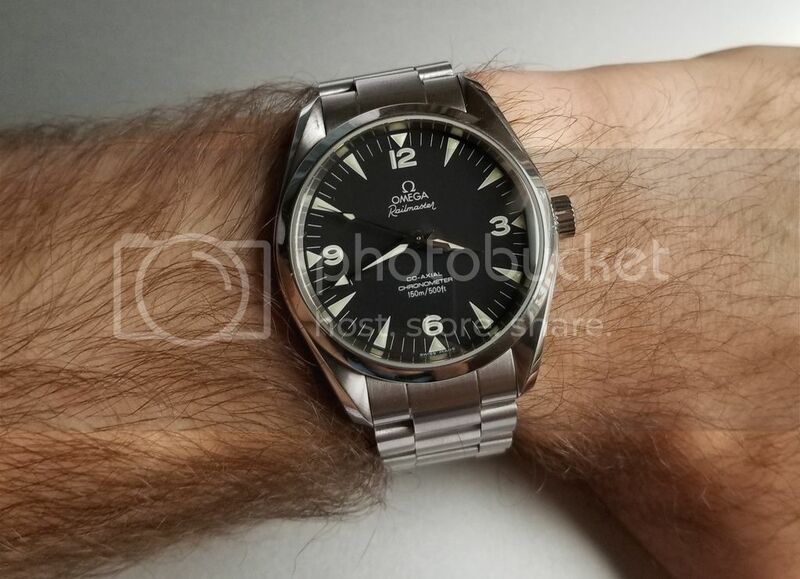 I have many reviews posted in the Seller Profile section of OMEGA FORUMS if you search by my username. 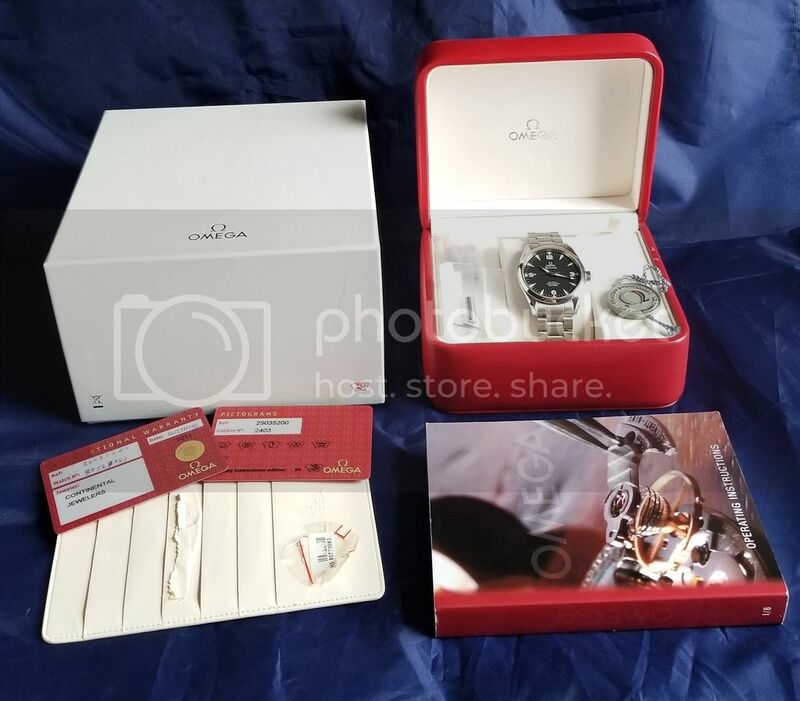 I also have many other photos of the watch there!